Resending due to a failed graphic in the original message. RTS is now available at this time. 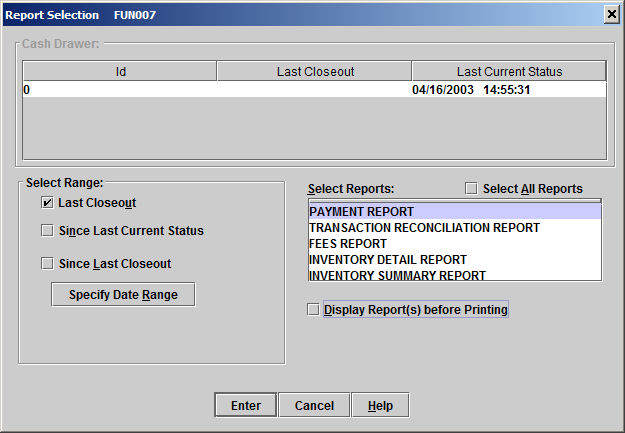 An automatic closeout will be performed at 7 p.m. this evening for any user that was unable to perform a closeout before the end of business today, March 24, 2015. Please do not perform a closeout after 7 p.m. this evening, March 24, 2015. If an automatic closeout was performed for you please see the instructions below. We apologize for any inconvenience this service interruption may have caused. Note: Mainframe and Batch reports should be on your printer in the morning.